We were at a cafe stuffing our faces with smoothies and cake on the weekend when we spotted the coolest recycled glass bottle chandelier. We are always picking up nice old glass bottles at second hand shops around the place but they nearly always sit redundant on a shelf, gathering dust. I have yet to figure out a dream for them – they get a stick of lavender shoved in them every now and then but that it about their loftiest purpose. 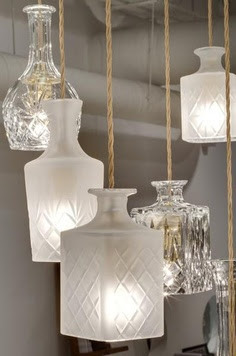 A chandelier like this however… How magnificent! 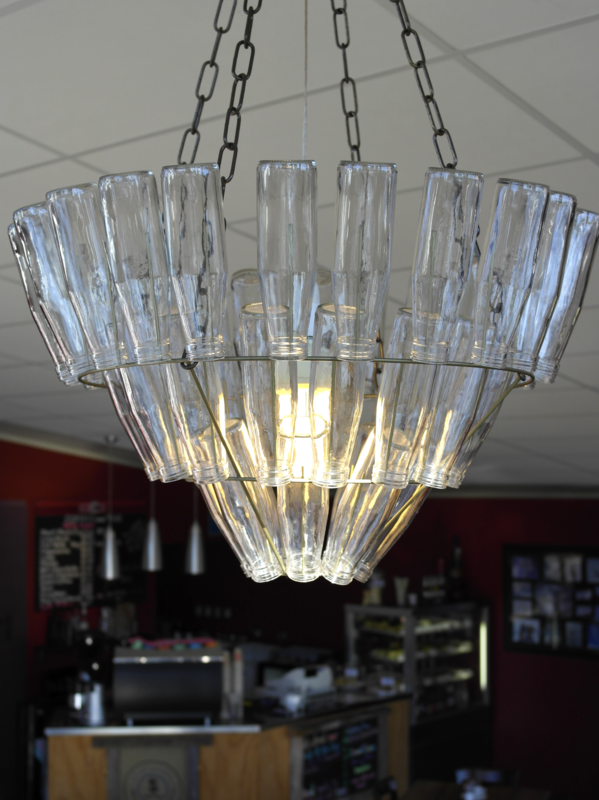 I love the un-unifrom aspect of this vintage glass chandelier in a Hobart restaurant- so many different shapes and textures. And then there is this one which might be a bit easier to construct, with its individual light bulbs, but would use rather a lot more energy! 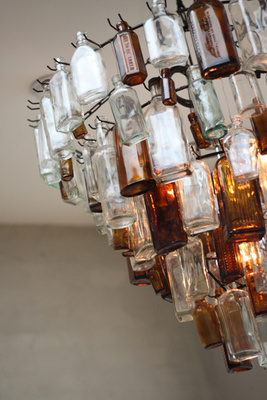 What is the best thing you’ve ever seen done with old glass bottles? Wowee. These are astonishing. Look forward to seeing what you do with yours, Lucy!